Don’t you just love when the weather guy (Tim Bailey on channel 10 for us NSW people) tells you that tomorrow will be fine but end with a late thunder storm. With summer approaching and the temperature set to sore this year I am really going to dedicate my self to chasing these storm fronts and the wild weather and lightening it creates. This shot is taken with my new 17-40mm f4 lens @ 17mm at the Skillion, Terrigal on the Central Coast, NSW. I have made the full post production of this shot as a Masterclass photoshop tutorial that goes into exposure blending and masking in different water layers and I also cover how I go about capturing these kind of images for blending. This tutorial is recorded in my new format at 1280 x 720 HD. Tutorial available for immediate download for $12.95 at this link. 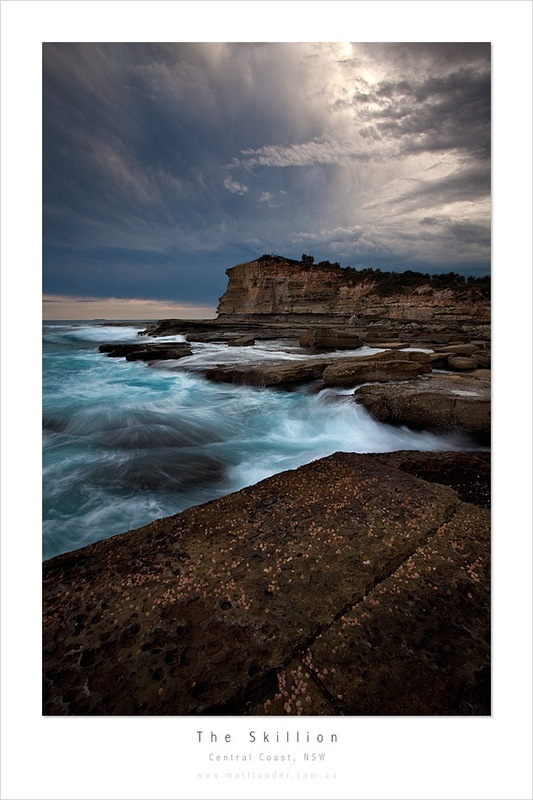 This entry was posted in Uncategorized and tagged Exposure Blending Tutorial, photoshop tutorial, Photoshop tutorial exposure blending, skillion, terrigal. Bookmark the permalink. I really like you tutorials and the way u explain things! Every bit of help I can get with Photoshop is always very much appreciated, this tutorial fair blew me away though. There’s a lot of good information there to put into use. 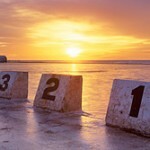 I hope to get a blog up of my own soon, I’ve got some images I really like and it’s time to see what others think too. Thanks for the positive feedback on the tutorial guys. Haha.. not given up on film just yet Fletch, just can be bothered getting it processed until it piles up. 🙂 but thanks for the feedback. Have you been getting any of these storms? ?